Steve Bannon and Kellyanne Conway were added to the team. The two latest additions to Donald Trump's presidential campaign are well known in political circles and have close ties to the candidate. Steve Bannon, who has taken a leave of absence from his position as the executive chairman of conservative news site Breitbart News, was announced as the campaign's new CEO. Kellyanne Conway, a campaign strategist and pollster, has been named its new manager. "I have known Steve and Kellyanne both for many years. They are extremely capable, highly qualified people who love to win and know how to win," Trump said in a statement released this morning. 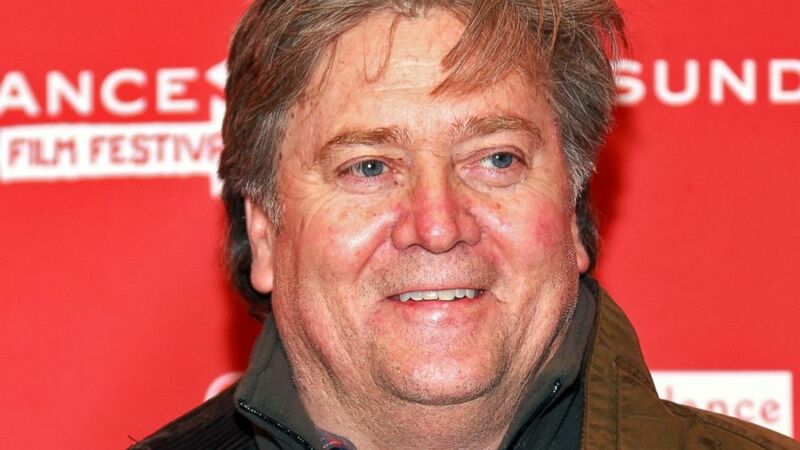 (Robin Marchant/Getty Images) Steve Bannon attends the "Sweetwater" Premiere during the 2013 Sundance Film Festival, Jan. 24, 2013, in Park City, Utah. While Bannon has been known for his role at Breitbart, his career extends beyond the web. He holds master's degrees from Georgetown University and Harvard Business School and served as an officer in the Navy before working in the private sector, the Trump campaign said. Bannon used to work as a banker for Goldman Sachs in the late 1980s and went on to launch his own boutique investment bank. From there, he started producing films that largely focused on conservative figures like Ronald Reagan and Sarah Palin. During that time, he met Andrew Breitbart, the creator of the news site, and Bannon started running its business side. In 2015, Bloomberg Businessweek published a profile of Bannon titled "This Man Is the Most Dangerous Political Operative in America," in which he explained his personal political development. "I come from a blue-collar, Irish Catholic, pro-Kennedy, pro-union family of Democrats," he told Bloomberg at the time. "I wasn't political until I got into the service and saw how badly Jimmy Carter f----- things up. I became a huge Reagan admirer. Still am. But what turned me against the whole establishment was coming back from running companies in Asia in 2008 and seeing that Bush had f----- up as badly as Carter. The whole country was a disaster." Shortly after that article was published, Sirius XM radio launched "Breitbart News Daily," a talk show hosted by Bannon. Sirius announced that he will be on leave from the show while he works for Trump. "Steve Bannon is taking a temporary leave of absence from Breitbart News. The "Breitbart News Daily" program and weekend editions on SiriusXM will continue uninterrupted — led by Breitbart News editor-in-chief Alex Marlow and other members of the Breitbart News team, many already familiar to our audience," Sirius XM spokeswoman Danielle Lynn told ABC News in a statement. Bannon's hiring isn't the first time that the Trump campaign has intersected with Breitbart. In March, Corey Lewandowski, Trump's campaign manager at the time, was charged with battery of then–Breitbart reporter Michelle Fields; in April the state attorney in Palm Beach County, Florida, decided that there was not enough evidence in the case to file charges. Early this morning, Fields tweeted that she was "shocked" by the news of Bannon's hiring. A senior campaign source told ABC News that Bannon was brought on because Trump respects his instincts and success. Trump likes that Bannon is a "high energy person" with "big ideas," the source said. (Rainier Ehrhardt/AP Photo) Kellyanne Conway speaks at the Freedom Summit, in Greenville, South Carolina, May 9, 2015. Conway will be traveling with Trump full time, the senior campaign source told ABC News. She will be Trump's right hand woman because she is "someone that he trusts" and they have a long-standing friendship, the source said. 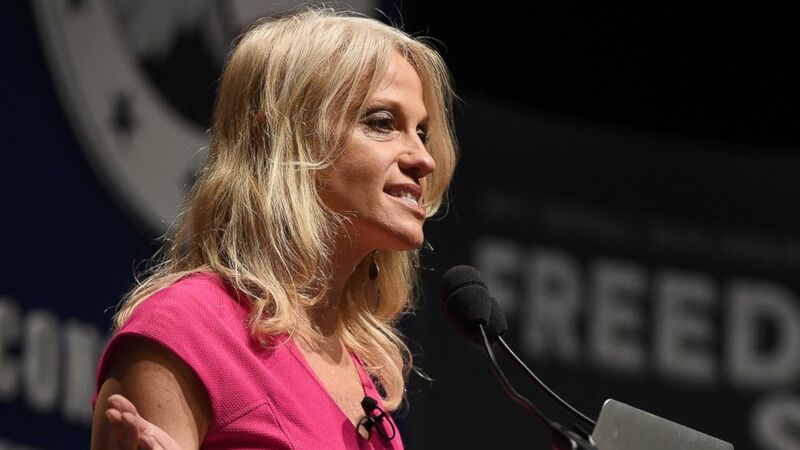 Conway is the founder and president of the polling company inc./WomanTrend, a privately held company that analyzes market research and polling data. She has appeared as a guest on "Good Morning America" to discuss poll numbers and the state of the 2016 presidential race. Politically she has ties to a number of Trump's surrogates through previous work, including Trump's vice presidential pick, Gov. Mike Pence, and former rivals like Sen. Ted Cruz and former House Speaker Newt Gingrich, according to her company's website. "In what was a poor year for Republican polling, she and her team were among the few on the GOP side to predict the outcomes of major races in 2012. In 2014 all of their general election candidates won," the site says. Conway is "a fully recovered" attorney, according to her biography. ABC News' Tom Llamas contributed to this report.